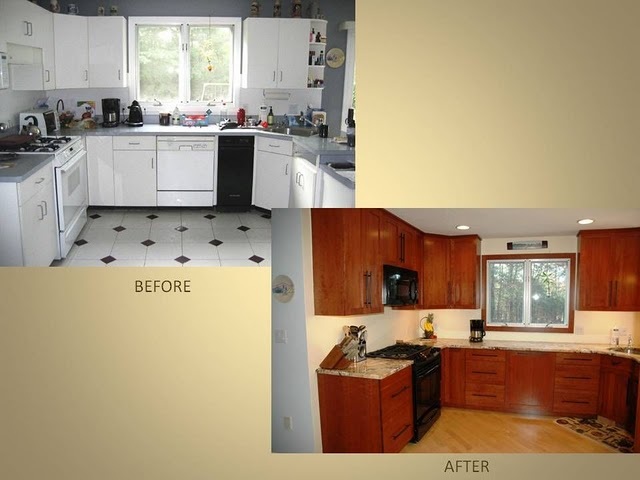 This 15 year old kitchen and floor were completely renovated for a whole new look and improved functionality. 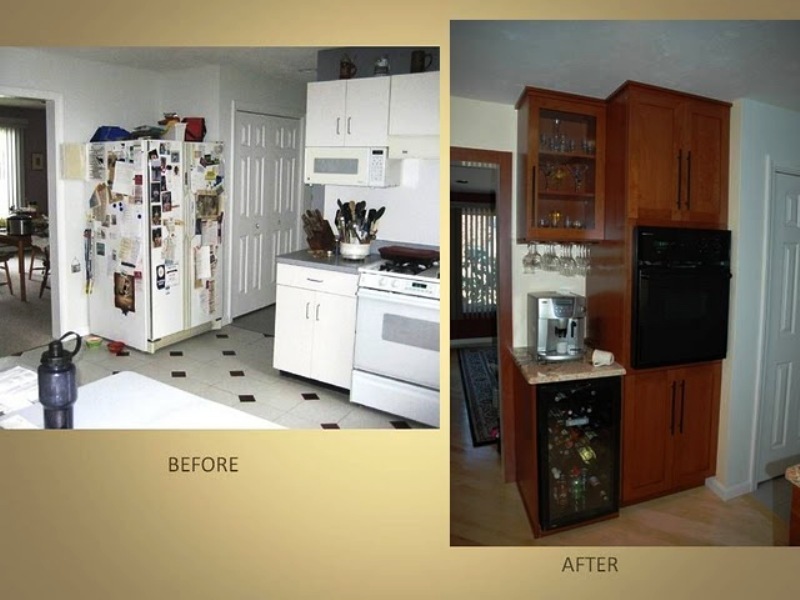 “After a flood destroyed the whole kitchen of our house, we were faced with what we thought was the daunting task of replacing it. 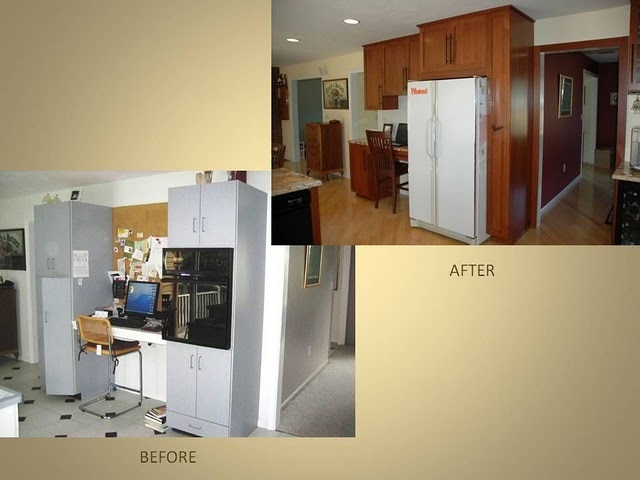 We had three different contractors come in and proceed to tell us that they could give us the kitchen of our dreams, with unfortunately prices to match. Having heard of a historical restoration project that Mr. Finn completed in North Easton, Mass, we decided to give him a try. Mitch took the time to listen, I mean really listen to us, what we wanted and then presented us with a plan that not only delivered, but allowed us to redo the entire first floor with in our budget, unlike the other guys. The quality and craftsmanship of the products far exceeded our expectations. His expertise was unmatched as he made subtle suggestions that worked out even better than we expected.